In my house my husband makes dosas. I prepare the batter and keep everything ready and he makes them. How humble and sweet. Well he is fond of cooking..
Back in Dubai I never used to grind dosa batter at home as there were several brands of ready to use batters available and each was better than the other. But here in Doha the batter is not all that great. So i started preparing the batter at home. My third sister in law (Husband's sister) makes the best dosas. 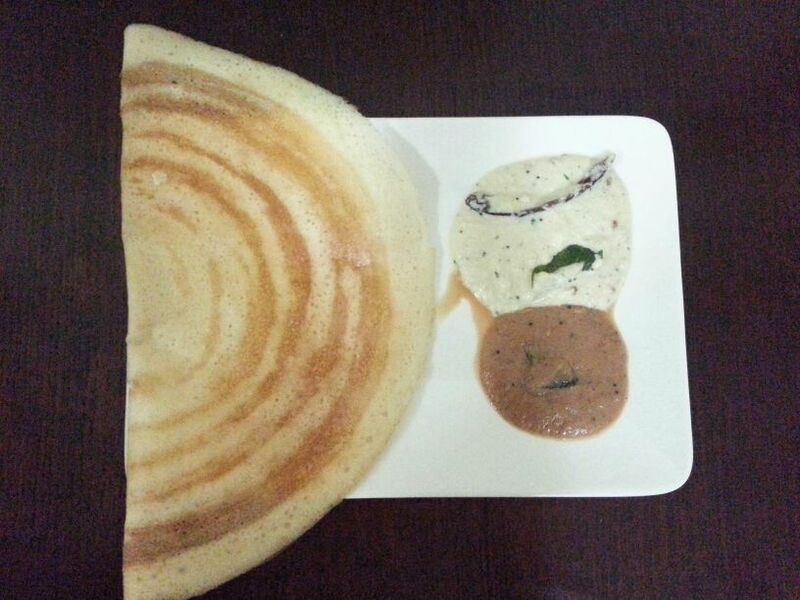 No restaurant can beat the taste or the texture of the dosas she makes. I got her recipe for the dosa batter but tweaked it just a bit. She uses cooked rice and I substitute that with poha/aval. I grind the batter in mixer as I do not have or need a wet grinder. 1. Wash the rice a couple of times by draining the water and soak it in water. Water should be well above the rice. 2. Wash the urad daal and poha and soak them together with water well above them. Add fenugreek seeds to them. 3. Soak for 8-10 hours. 4. First add the urad daal and poha to the mixer and grind by adding water little by little to a very smooth batter. 5. Remove it in a big container. 6. Next grind the rice by adding water little by little to an almost smooth batter. It will remain a bit grainy. the grains should be smoother than semolina / rava. 7. Remove the rice batter in the same container and mix well, preferably with hand. 8. Cover and leave it to ferment on counter top for 8 hours. 9. 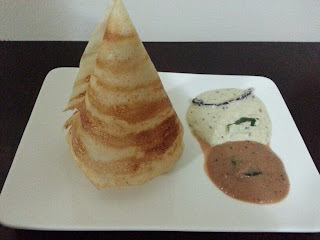 When ready to make dosas, add water, cooking soda and salt to the batter and mix well to achieve dosa batter consistency. 10. Heat a tawa and reduce heat to medium once hot. 11. Pour a ladle of batter and spread it making circles as thin or thick as you want. 12. When it is 1/4 cooked drizzle oil or ghee. 13. When it is completely cooked fold and remove. There is no need to flip and cook to the other side, you may do so if desired. 14. You can fold it as per desire. 1. 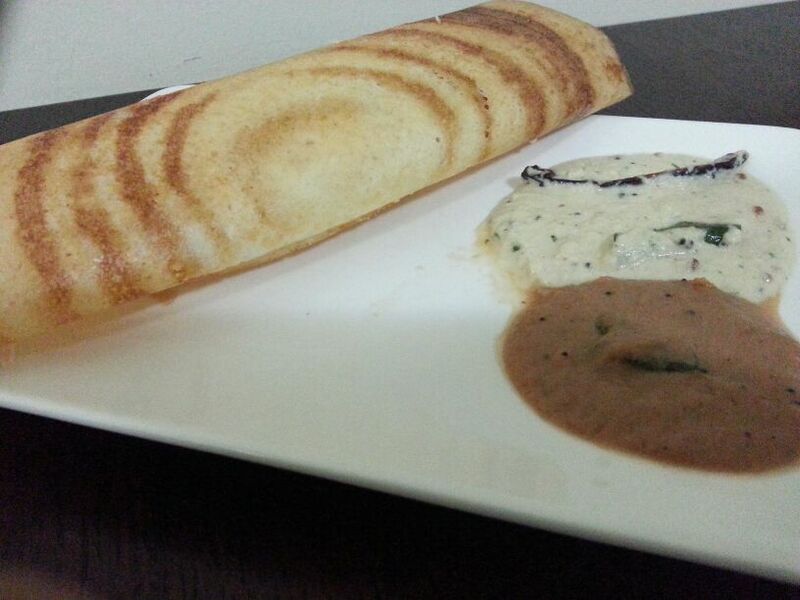 The same batter can be used to make idlis but it has to be with lesser water than dosa batter consistency. 2. Mix soda and salt only to the amount of batter required and keep the remaining in refrigerator. This way the remaining batter will not turn sour or watery.